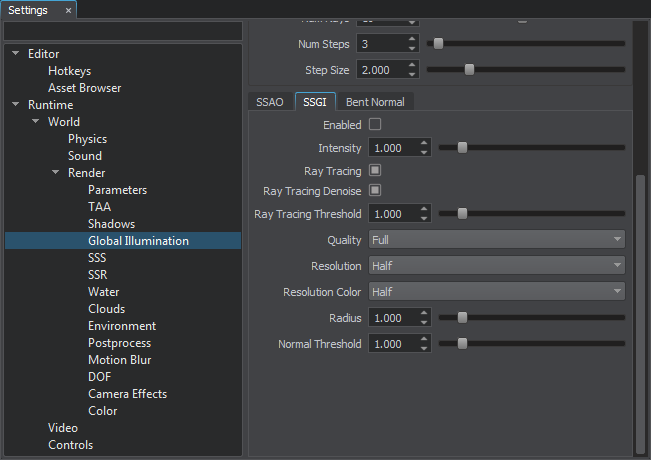 This section contains settings related to screen-space global illumination (SSGI). Toggles SSGI on and off. It enables indirect illumination in the scene. By the minimum value of 0, the illumination is the darkest. By the maximum value of 1, the illumination is the brightest. 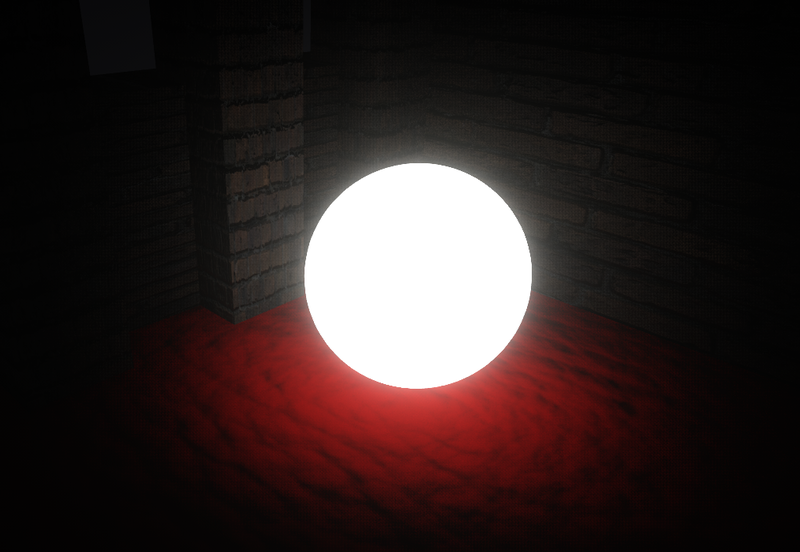 Resolution of the color buffer used for screen-space global illumination. By low values, each point affects only the points in the close range. By high values, each point affects farther positioned points. Determines sensitivity of GI to normals. Normals affect ray intensity: smaller angle of incidence increases ray intensity. By the minimum value of 0, normals are ignored. By the maximum value of 1, normals are taken into account. Enables or disables ray tracing for SSGI calculation. When enabled, SSGI recreates light reflections from the object’s surface. Ray-traced SSGI calculation available only when the SSRTGI technique is enabled (Rendering -> Features -> SSRTGI). Enables or disables noise reduction for the ray-traced SSGI. This option reduces noise by using blur effect. 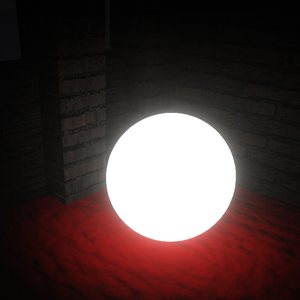 Limits ray-traced SSGI in areas where SSRTGI cannot get information.